I don’t think I’ve ever written a Mac app review before, but I find the one-star reviews for this app so befuddling that I felt the need to chime in. 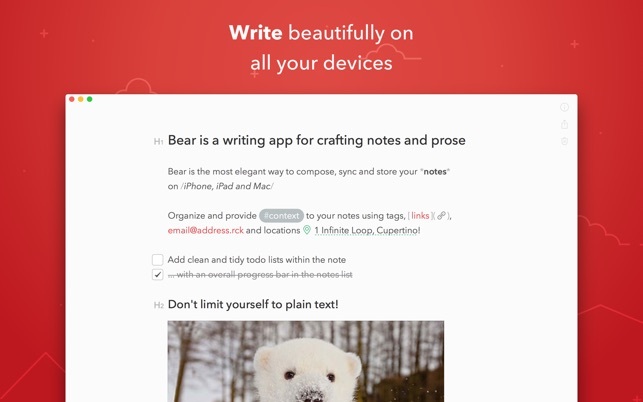 Bear is my absolute favorite text editor. It’s beautiful, clean, and charming. 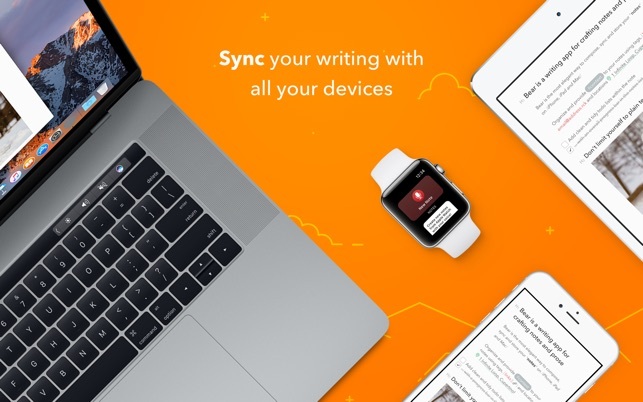 I have personally never had a sync issue, and I use it on Mac, iPad, iPhone, and Watch. It’s also been updated quickly to take advantage of new hardware features. 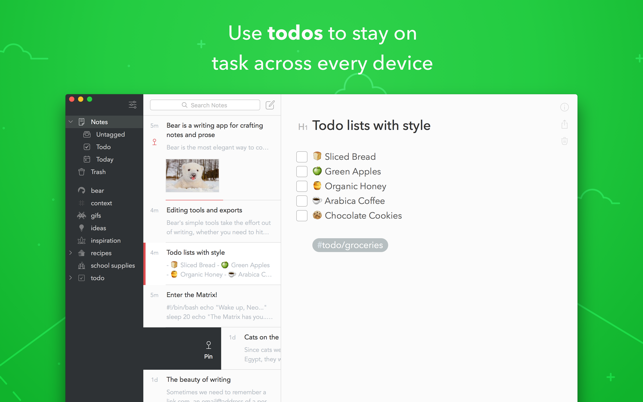 I’ve never used Evernote for what it’s worth. 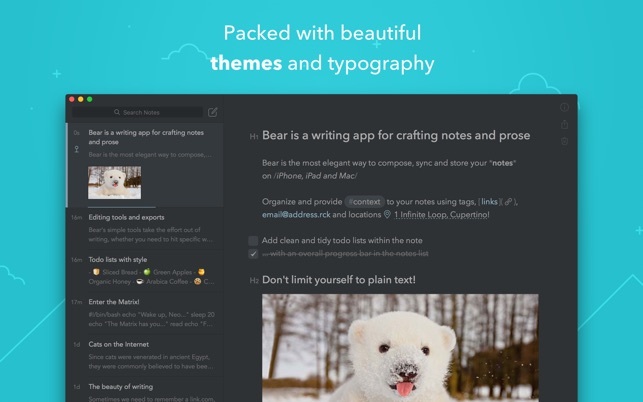 Though I have used several markdown editors, and Bear is definitely my favorite. As for notebooks, Bear just uses a different organizational metaphor. Instead of putting one thing in one notebook, you add tags to the document. These tags can be chained together which creates a nested hierarchy in the tag panel. This way you can assign a document to multiple tags if you want. So a work note can be tagged #Company/Project and #Year/Month and #Subject. For me this makes it SO easy to find what I’m looking for in many different contexts. It may not work for everyone, but I suggest giving it a chance if you find the rest of the app appealing. 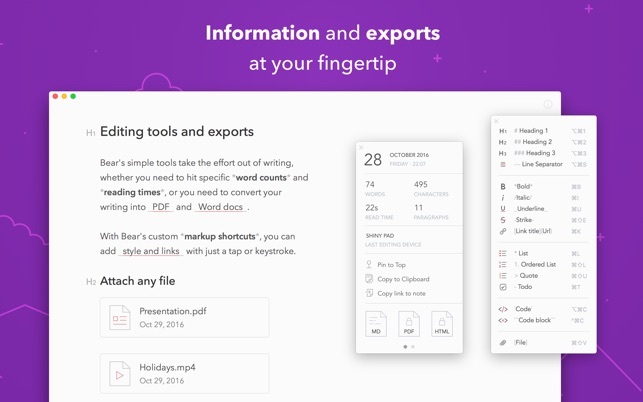 I purchased a Bear Pro subscription after trying the app for free and reading the positive reviews of the more advanced features. The app worked as expected for a brief period of time, but stopped syncing between my Mac and iPhone a few weeks ago. I emailed tech support, which directed me to a self-help FAQ and asked me to attach device logs. I did, and their team was fairly quick to respond with the prognosis that I had "accidentally removed the files from the iCloud Drive which are required to sync the notes between the devices.” Now this seemed strange considering that I had not removed any files from my iCloud, but I followed direction nonetheless. The result: The app began synching again, but deleted all of my notes. Everything. Gone. This was frustrating, but luckily I had saved the most important information to my iPhone’s Notes app (which, simple as is it is, has never failed me…), so I decided to grin and Bear it for another test run. That was, however, until this morning when the app once again stopped synching between my devices. Bear, while decently-designed, is too unreliable for me to trust. Deleting the app and cancelling my Pro subscription. Use caution and back up your work elsewhere if you value your notes, etc.